This has a surprisingly youthful nose of, amongst other things, passion fruit, orange peel and lychee. 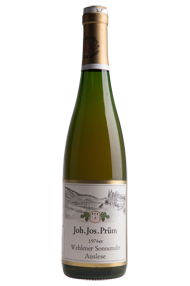 The palate shows stunning purity, with exceptional minerality and pure fruit. An elegant, delicate wine with a long finish and great acidity that is drinking perfectly right now, but with maybe one or two years left of excellent drinking.